Hacked 116 with 64k and jiffydos built in. 116 has internal (almost undetectable) 64k ram upgrade; both have JiffyDos. 116 has "chicklet" keys, main difference with plus/4 is no user port and no (dreadful) built in software. 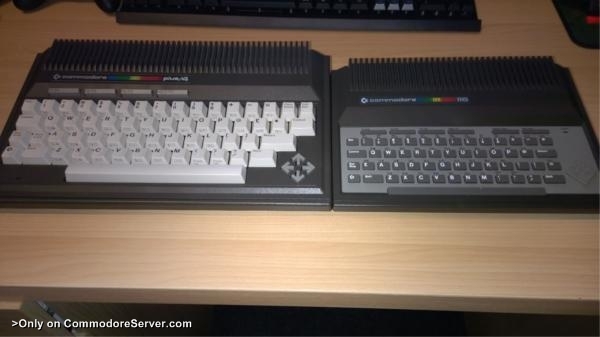 121 colours, BASIC 3.5, windowing, HELP key and graphic commands put this above a C64. Two channel sound with no SID and sprites put it behind the c64, its an enigma.